I figure it would be good to get this going for the year? Grande Prairie indoor is Feb 24 and 25th. Brazeau Bowbenders. A really good time and a great group of people! Mods, could we please get this thread moved to the top of the archery discussion to replace the 2017 schedule? Thanks. Just to clarify there is a shoot at Tomahawk this weekend right? Guys is there a overall 3d List for all the shoots. 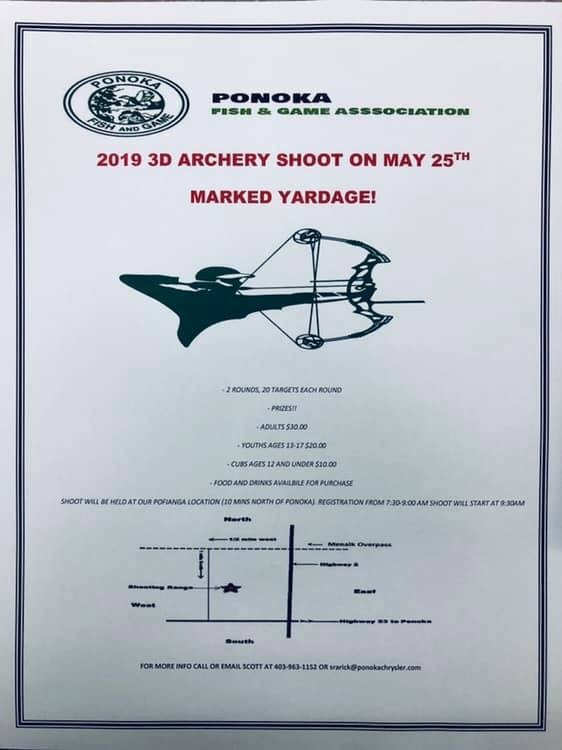 F8D9F4FD-7D98-462A-8E20-421E2E6C5D8D.jpgGame Country Archers in Grand Prairie is having there Trad shoot May 12. 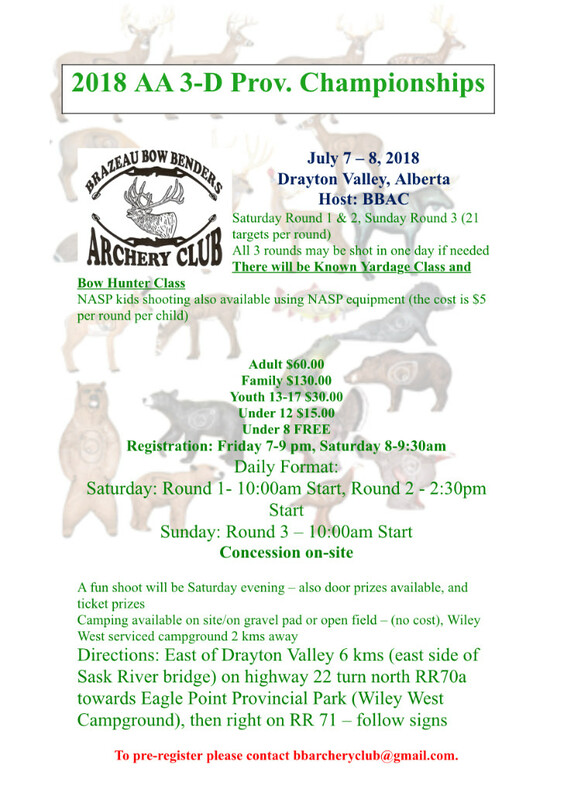 Game Country archers in Grande Prairie June 16 and 17. Known yardage format this year with competive cash divisions and recreational divisions. Hello all, outdoor 3D season is right around the corner or at least we thought it was! After a 3D Committee meeting Feb 28, 2018, subsequent review by the ABA Executive, discussion at the ABA 3D Meeting, and ABA AGM March 24 2018. The following changes to our 3D Program are in place moving forward. The primary focus of the new program will be to support the ABA affiliated clubs (there were 15 in 2017). We still want to promote the fun and family friendly atmosphere so many of our shoots offer in Alberta. We also want to stress the need to make sound field choices based on distance and shot placement. - each affiliated club will be asked to apply to the ABA 3D Chairperson by May 1 of each year for a $125 donation from the ABA (basically offsets the cost of affiliating with the ABA). The May 1 deadline for this year (2018) will be flexible. - this donation will be made to the club only if they have a bowhunter type theme or component (Hunter Class) at one of their shoots. - the donation from the ABA has to be used to supply prizes to that particular shoot and the ABA is recognized as a sponsor/donor etc. The club at their discretion, may have these prizes available ONLY to ABA members. 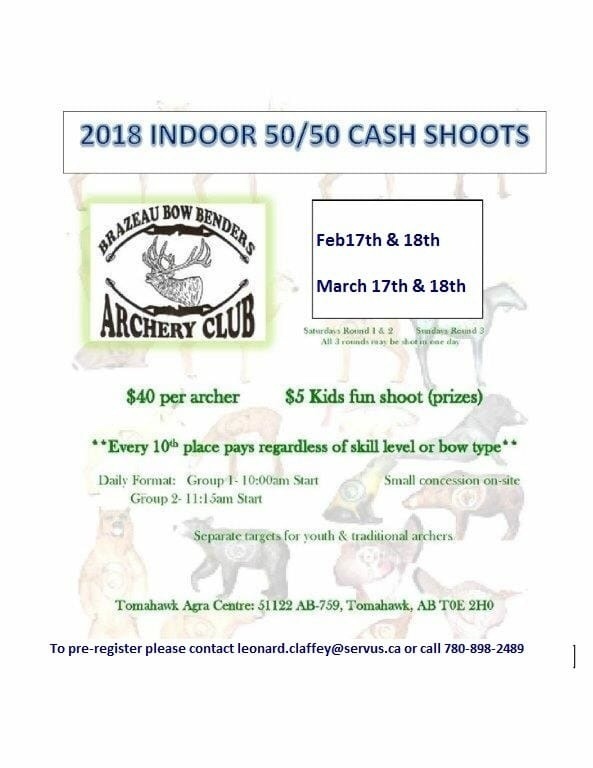 - the club will have to include in their application request, a poster/shoot info of their club shoot that has the bowhunting theme or component. - this poster/shoot info will then be put on the ABA website, Facebook Page, newsletter. - only one club shoot submission per year, shoot can be indoor or outdoor. The ABA will supply a package to each club that meets the approval. This package will include 20-25 ABA medals to hand out to young shooters 10 and under. Any unused medals should be returned soon after the shoot. 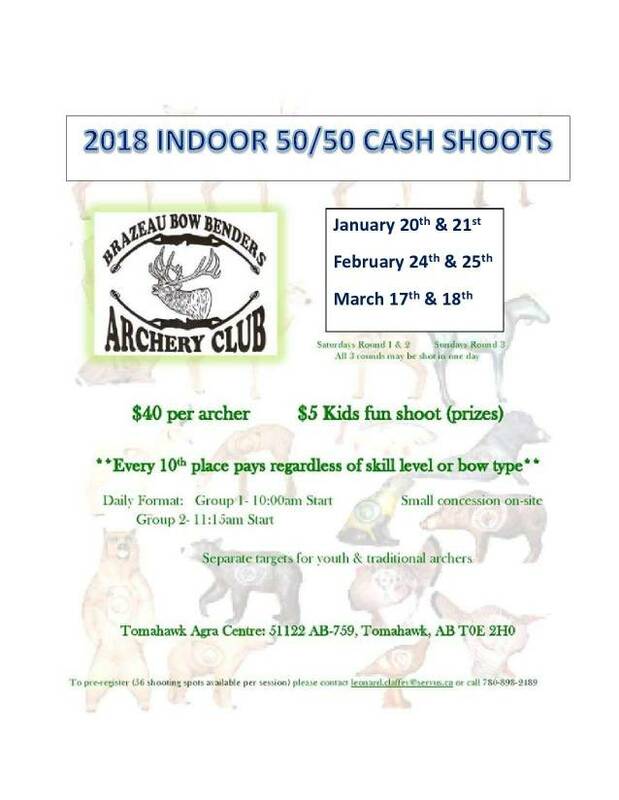 The ABA will supply a major prize after the 3D season, $500 Gift Certificate to the Archery shop of the winner’s choice OR an ABA Lifetime Membership (worth $500) and the commemorative plaque that goes along with it. This will be awarded to a lucky winner by random draw at annual ABA banquet. How to get entered? any ABA member who attends an affiliated club bowhunter themed shoot will be automatically entered in the draw. Each club will have to supply the ABA with a list of ABA members who attended their shoot. The more shoots the member attends, the more entries they will get, 1 entry per affiliate club shoot attended. Prizes could be added as more sponsors donate. The hunter class is left to the choice of the club on the scoring and format, we can provide packages and outlines to implement the Bowhunter Challenge Class if a club needs guidance. Stay tuned! As the year progresses there may be other ways to increase your draw entries! I am really looking forward to the upcoming season, thank you to all of our current affiliated clubs and if your club is not affiliated please approach them to become a part of the ABA! Game Country archers hunter shoot in Grande Priarie Aug 18 &19. Come shoot for a good cause - proceeds go to the Canadian Cancer Society. ABA scoring. Cash prizes & full concession on site. For more information, go to www.parklandbowbenders.ca/events or call Bob Smith (587) 991-1268. Last edited by Timberdoodle; 05-24-2018 at 09:34 PM. 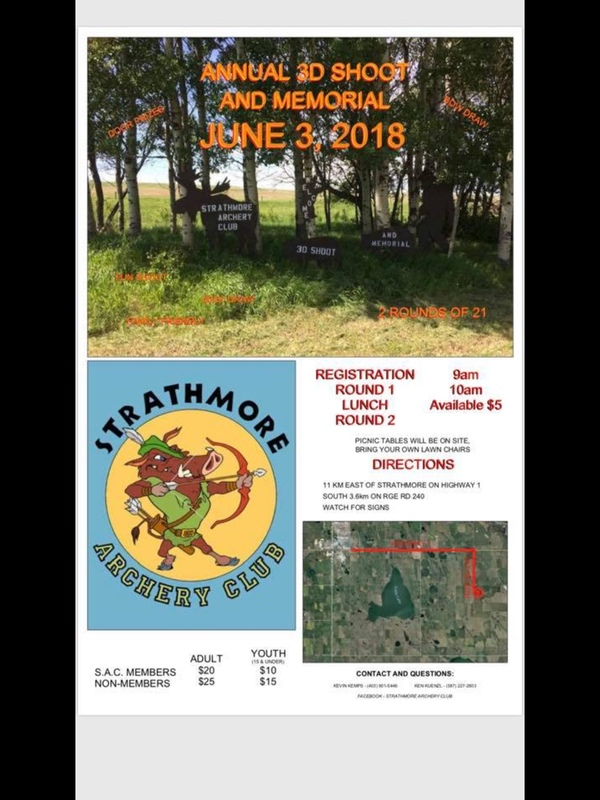 This coming weekend, East of Strathmore. I’m heading to work out of town for the morning after but I’m hoping to be there if everything works out. Game Country archers is hosting a one day shoot July 21 at nitehawk ski hill. $65 covers lift passes, 50 targets and a steak dinner! All proceeds go toward purchasing a NASP kit for schools in the area to use for free! August 11-12, See poster for details. Last edited by Speckle55; 06-21-2018 at 08:56 AM. The only poster I see is one for 2016. Unless I’m missing it completely. nvm found it. ill post it so no one has to go looking. Reminder this shoot is happening this weekend! Course looks great and is challenging at any level! Come out and kill some foam and have some laughs at one of the best 3d facility in Alberta, bar none! class new for this year too.